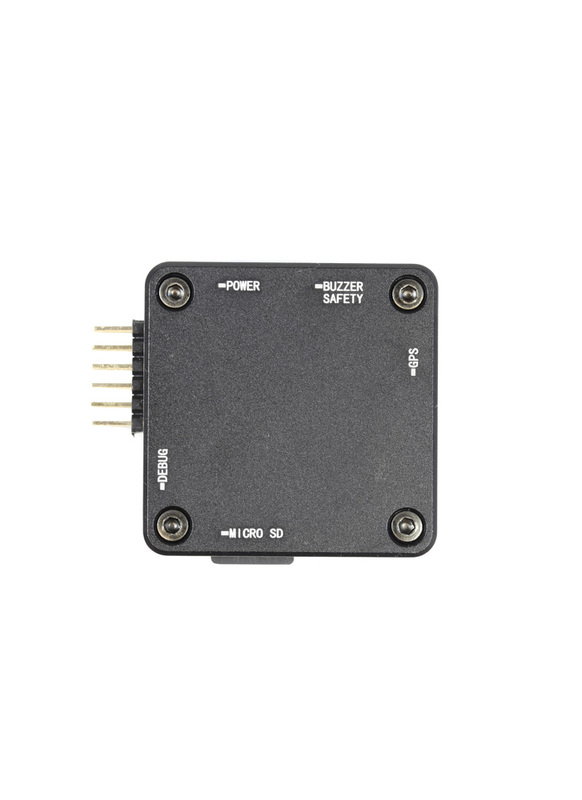 Many people will mistakenly believe that the PixRacer is just a standard “racer” controller that lacks many of the functionalities of a complete autopilot system. Well, don’t be fooled! PixRacer has all the capabilities of the original PixHawk – and even more! But it's optimised in size and has just about the right amount of input/outputs that allows you to switch from a full enriched autopilot stack system with autolanding and full navigation to a high-performance racing platform. So, if you get tired of advanced precision waypoints, then flip a switch and race like a pro! The Pixracer is the first autopilot of the new FMU V4 Pixhawk generation. It comes with an upgraded Invensense sensor, a plug in Wifi board, buzzer, safety switch and a micro SD card and reader. 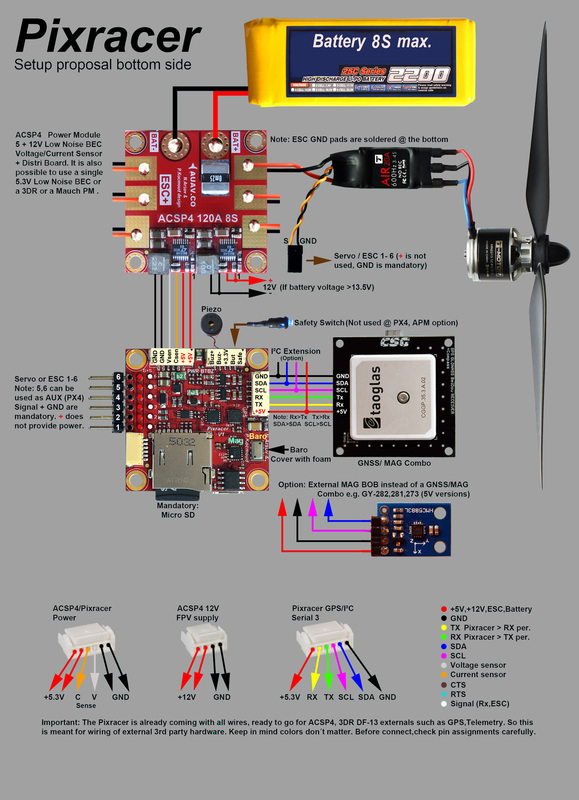 Like all Pix Autopilot/Flight controllers, this is a genuine open source project that is supported by the Arducopter and PX4 community. It runs PX4 software, QGround Control as well as Arducopter/Mission Planner. Power supply: 5-5.5VDC from USB or Power Brick connector.